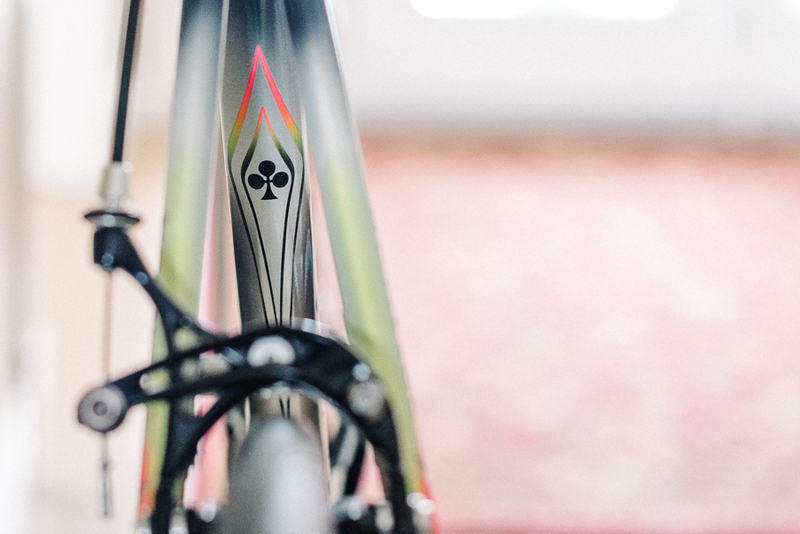 My friends at Colnago decided to let me know about their new machine, the K.one. This is the fastest Colnago frame if I want to ride at speeds faster than my age — which is getting harder and harder each year now. 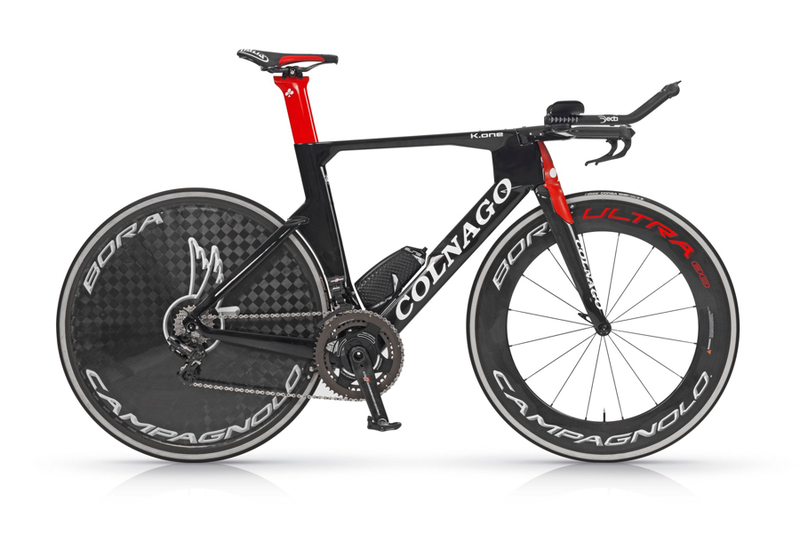 The new Colnago K.One represents pure performance â€“ pushing the limits of speed. The K.One is the fastest Colnago frame for cycling at speeds above 50 km / h. The frame was developed in the wind tunnel, building on the information gained during the development of the Concept, Colnagoâ€™s aero road frame. 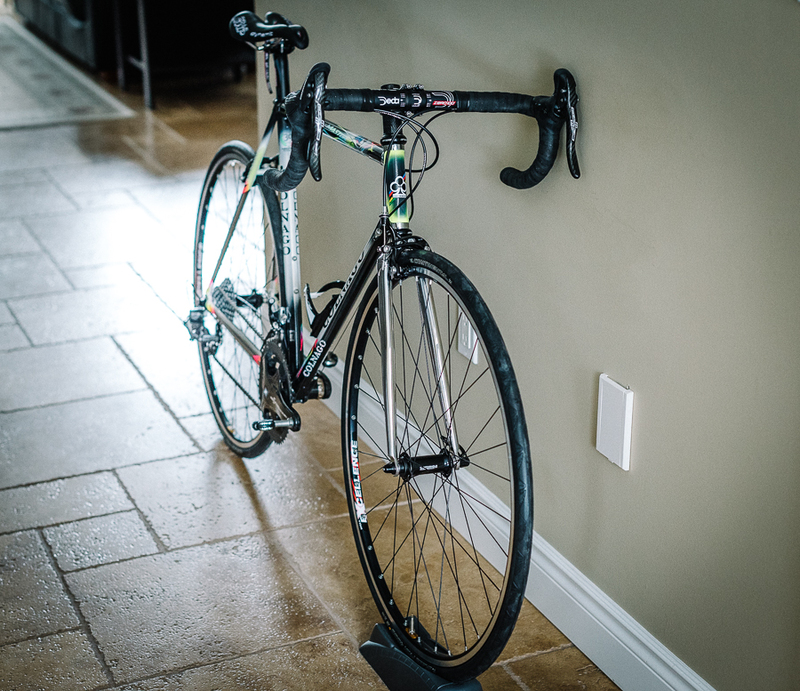 The K.One offers total aerodynamic integration, adjustment, and customization thanks to solutions designed to facilitate ease of set-up and precision bike-fit. Super bikes come with super prices. I suspect the K.one tricked out like the photo above is somewhere north of $10,000, probably closer to $15,000. Before taxes. I have two Colnago bikes, one carbon and one steel. The steel bike is built off the Master X 30th anniversary frame. Whereas the K.one looks like a stealth bomber, the Master X has a timeless, classic design. And the feel of steel. I love riding that bike. She is home. And she is now a bike. 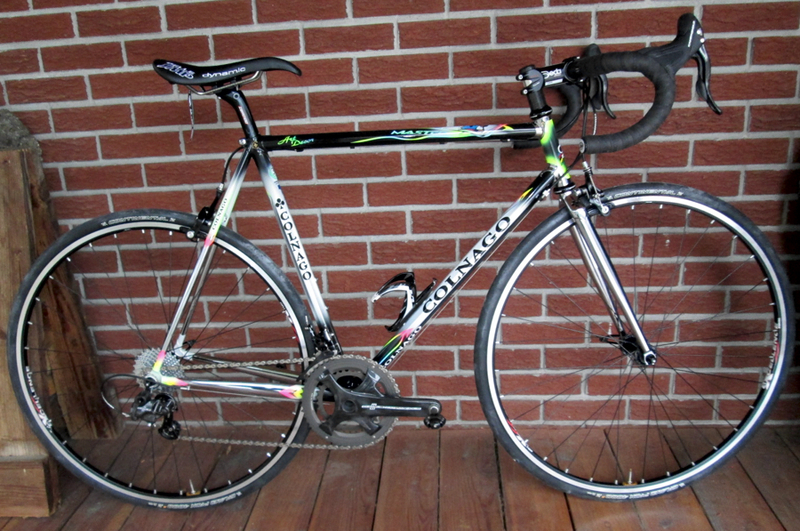 I had picked up the Colnago Master X 30th Anniversary frameset a few years back. The frameset was built in 2013. I had wanted to build the bike out before my 60th birthday. I’m not sure why. Perhaps as some sort of trip back in time when I first started riding steel bikes. How long ago? 46 years. I have very fond memories of riding steel bikes. Back in the 1970s, steel was all I knew in a frameset. 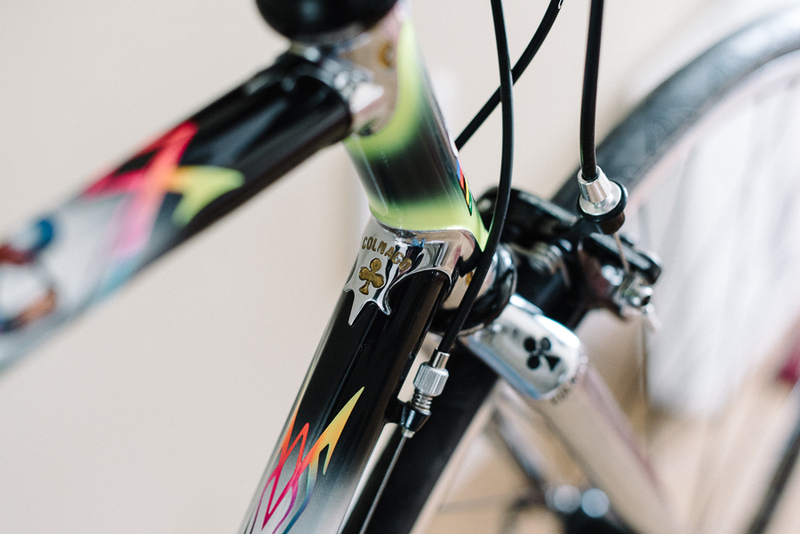 The Colnago Master X represented one of the best designs in a steel frameset. The 30th Anniversary edition features a unique paint scheme, the Art Decor. 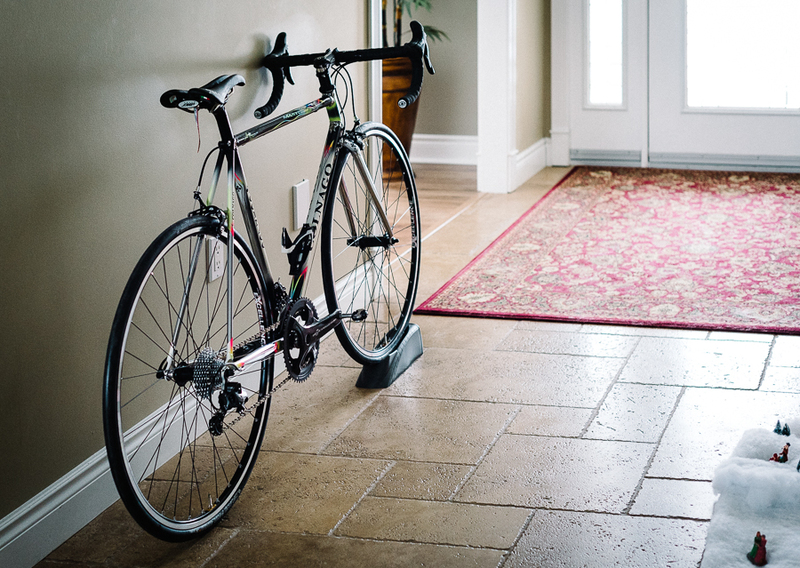 I have the bike in the front hallway. I will wait until the roads are clean which means sometime in March or April before I get to ride the bike. And that’s okay. I waited this long for the bike to get built. Another few months won’t matter. I really love all of the details in the frameset. For example, the chrome lugs that connect the tubes. I decided on Campagnolo Chorus for the groupset. Chorus provides most of the performance of the Super Record groupset — I ride that groupset on my Colnago EPQ — although it weighs a bit more. The hoods are a bit different from older models but still represent the most comfortable hoods I’ve ever experienced in a groupset and I have ridden all of the top groupsets from Shimano and SRAM. The front forks are straight. A bit aggressive perhaps. 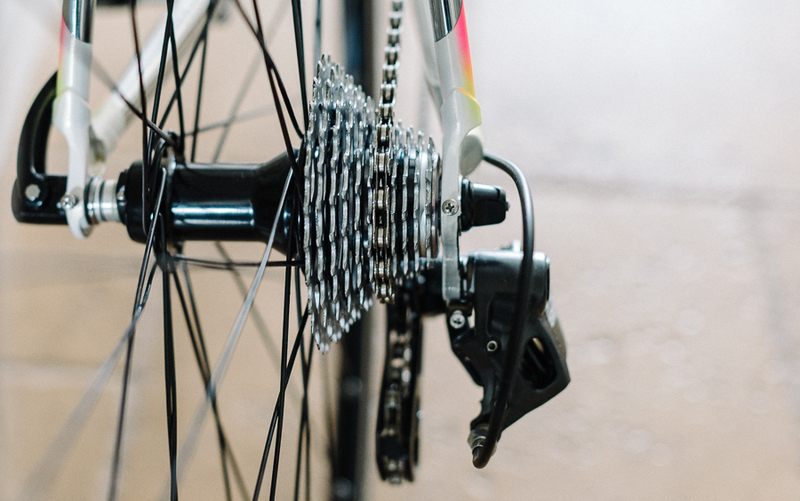 The front and rear hubs are Campagnolo Record. They should last a long, long time. 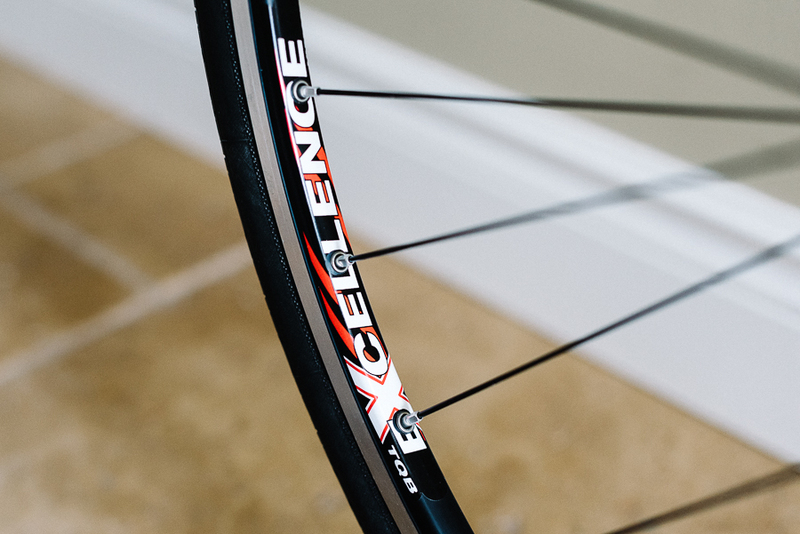 The wheels were custom built using Ambrosio Excellence rims and DT Swiss spokes. I am running Continental GP4000s tires. 25mm. First time running 25mm tires on a wheel. Should be interesting to see if I can tell a difference from the 23mm tires I normally use. 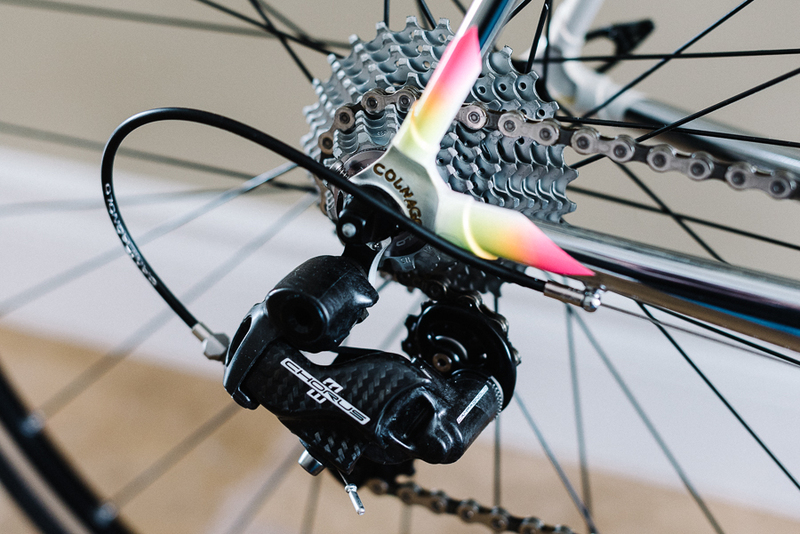 The Chorus rear derailleur should provide confident gear changes. 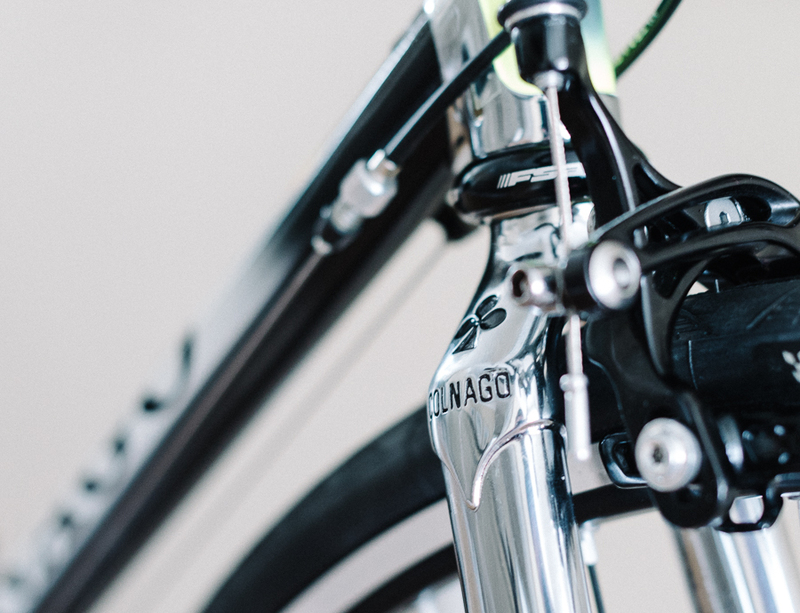 The Colnago symbol just below the saddle. I am running the same SMP Dynamic saddle as I have on my other Colnago. At my age, a bit of comfort is important especially on those longer rides. Deda Zero 100 for the bar, stem and seat post. 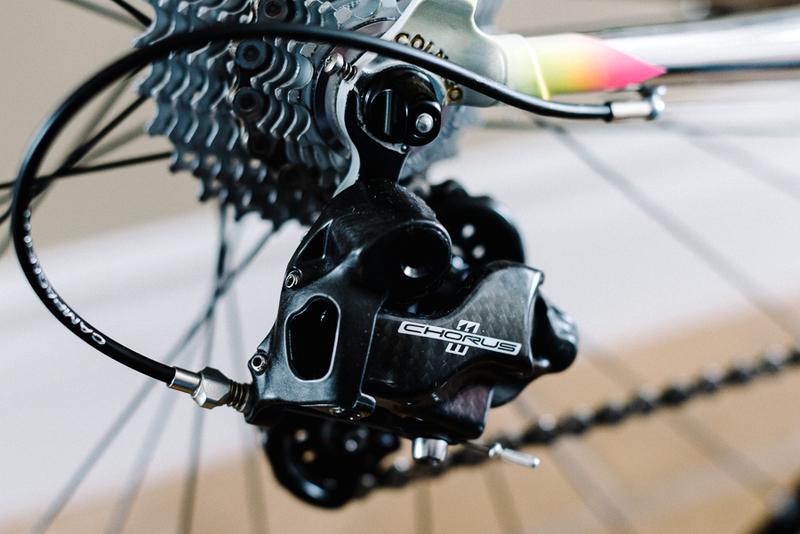 Speedplay zero pedals — I use those on my Colnago EPQ as well. A couple of water bottle cages although I only have one on the bike right now. I’ll add a Wahoo speed and cadence sensor and a platform for my Garmin Edge 800. I’ll just have to remember to select the rightÂ bike on the bike computer before a ride. 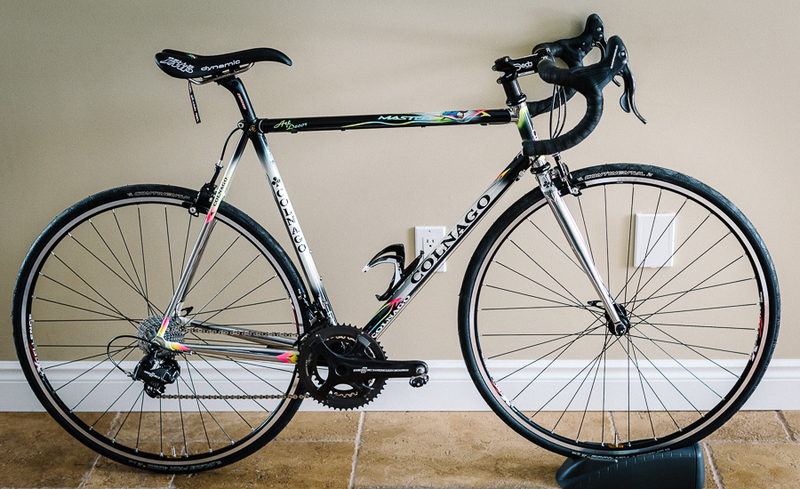 My bike mechanic built this Colnago for me. He had also built the Colnago EPQ. He did a terrific job. When he sent me his note with a couple of photos, he was concerned that the photos did not do justice to the bike. I took this set of photos to highlight some of the features of this beautiful machine. It was a frameset that had to be built. I am glad I was able to get it done in time for my 60th birthday. She is now back home as a finished bike. I haven’t had a chance to shoot some pictures of her yet but I will do so over the weekend. 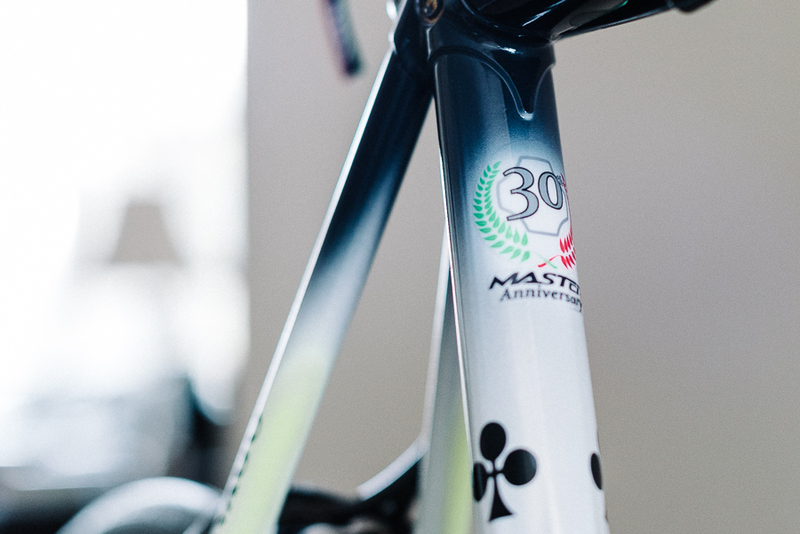 The frameset is a 2013 Colnago Master X-Light 30th Anniversary. 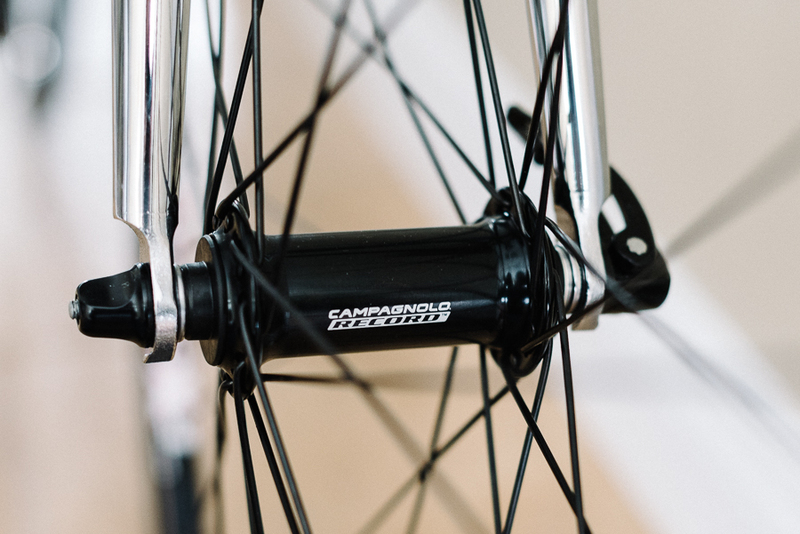 The wheels are custom built Ambrosio Excellence with Campagnolo hubs. 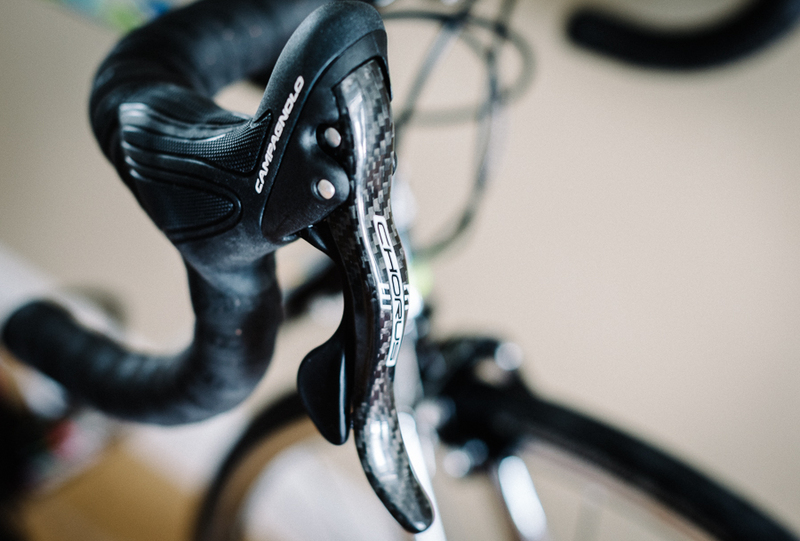 Groupset is Campagnolo Chorus. 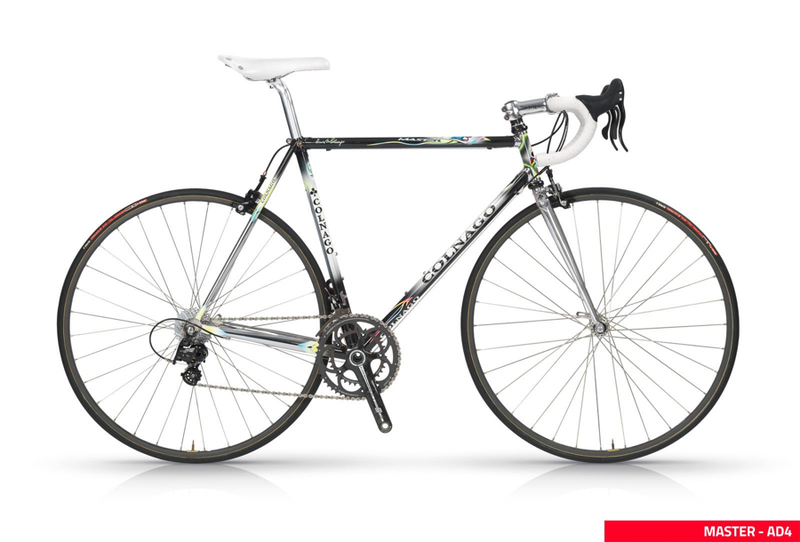 The Colnago Master X-Light was first offered thirty years ago. The Master X was probably the best road racing frame at that time. The tubing in the 30th Anniversary model, DT15V steel, is identical to the tubing that was used in the original. 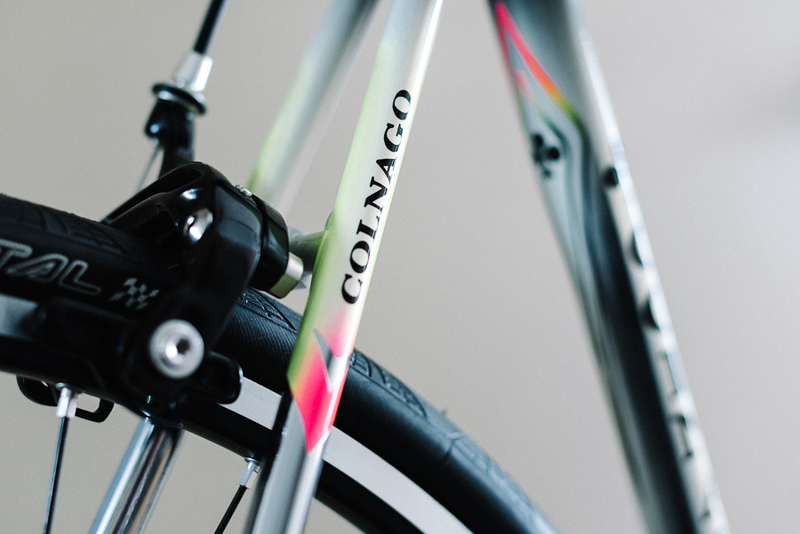 The original frameset was built as a joint effort between Colnago and Columbus. Columbus doesn’t make the tubes anymore. 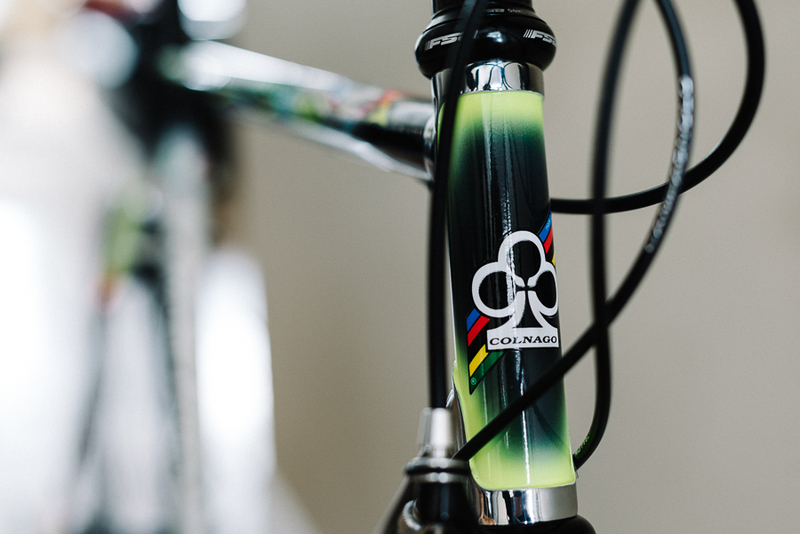 Colnago found the person who originally drew the tubes, brought him the dies, and he produced them for Colnago. The 30th Anniversary frameset is built with the same mix of star-shaped and round tubes and joined by the same lugs. It features the straight-blade Precisa fork. The paint is incredible on this bike. And, of course it isÂ fully steel. A bit on the heavier side, the frameset weighs in at 1400g. The ride is said to be fast, stable, and comfortable. An exceptional platform for the purest that can appreciate the characteristics of what a steel frame can provide. I’ll find out soon enough once March comes along. I have had the frameset for a while now. The 30th Anniversary Master was built in 2013. I am now getting it built out in time for my 60th year on the planet. Really looking forward to getting this one out for a ride. More details on the build to come. For now, this is how it started out. A few pieces of steel. This has been my home on the web since 2004. I am a musician, an audio engineer, an author, a photographer, a cyclist, a retired executive and probably many other things. Most important to me is my faith and my family. Thanks for dropping by. You can find out more about me here. Copyright © 2018 by Richard Cleaver. All Rights Reserved.